The inspection bay at the Forensic Storage & Technology Center provides you with specialized overhead and portable lighting, work benches for private and convenient evidence examination, a wide array of tools and diagnostic equipment, and a clean, organized space for all types of investigations. 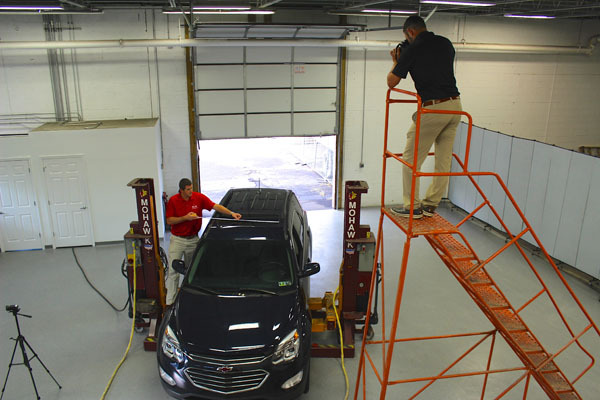 With 16 ft ceilings and over 1,600 square feet of examination space, the inspection bay provides enough room for group and large inspections. An aerial viewing platform, adjacent to the conference room, allows for clear observation of all aspects of the inspection. Planning an inspection? Having the proper tools and technology needed to collect important data is critical for the expert's analysis. At the Forensic Storage and Technology Center, we provide evidence examination tools so experts are fully equipped, without the hassle of hauling their own. The Forensic Storage and Technology Center has two hydraulic lifts that can each lift up-to 16,000 lbs, for a total of 32,000 lbs when combined. The ability of drones to fly over evidence to collect data from otherwise inaccessible areas due to their height is unprecedented. We have 7 FAA licensed drone pilots. The 12-step rolling ladder platform is 9 ½ feet high, giving you the ability to clearly and safely view and document evidence from above. 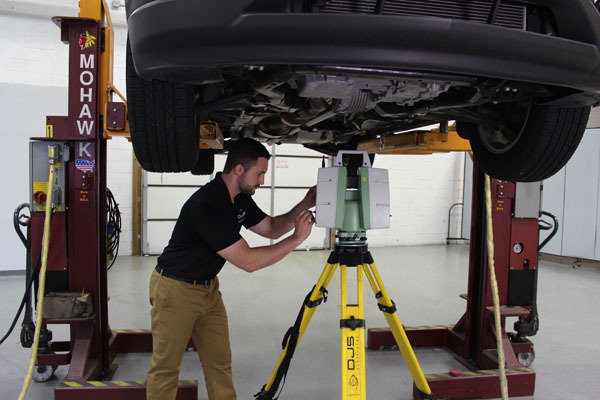 Hand-held 3D laser scanning provides a means to quickly and accurately capture details in hard to reach areas. Crash data retrieval technology allows data such as speed, rpm, throttle, change in velocity, pre-crash steering and braking status to be captured for collision / accident reconstruction analysis. *If you don’t see a tool listed above that you need for your scheduled inspection, please call us 215-322-1375 and we will do our best to provide you with the tool. 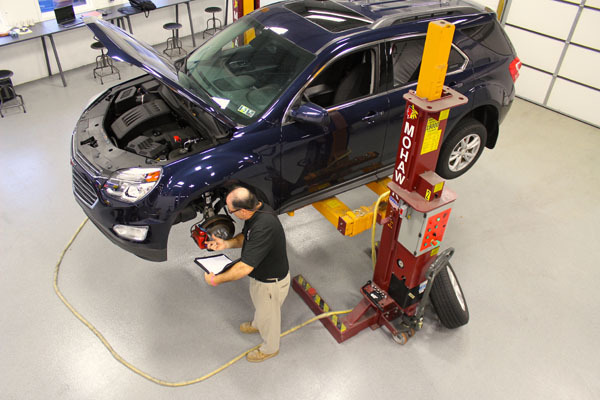 Want to Reserve A Tool For Your Scheduled Inspection? Complete the form below if you'd like to reserve a tool for your upcoming inspection at the Forensic Storage and Technology Center.